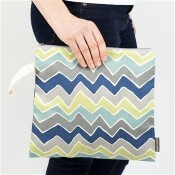 The ALICE baby bag features 3 large, separate inner pockets—1 with its own mini-pocket, 1 with.. Headed out for the day’s adventures? The Daytripper Wet + Dry Tote will keep you tidy and prep.. Sometimes you just need a little help. This smaller version of our Classic Wet Bag keeps things simp..